That gun is hard on the eyes. The magpul trigger guard, crappy delta ring, POS charging handle and a marginal Young bolt carrier. The trigger doesn’t look all that hot either, what is that an ALG? Looks like ALG pins. Doesn’t seem like money is worth much these days when a kludge can sell for that (although it is for charity and chest puffing rights) and something historical like the Coconut Rifle went for less. May Gene Stoner rest in peace. That rifle is an absolute thing of beauty. 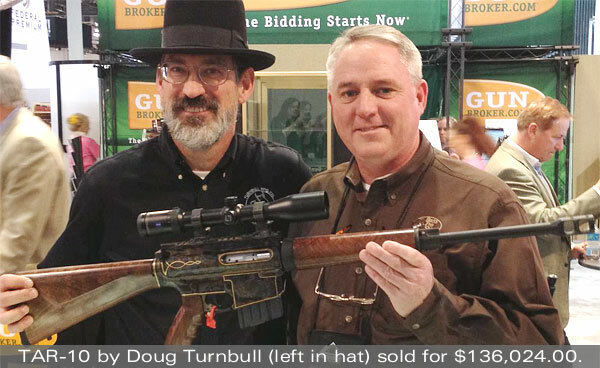 Congratulations to Doug,on the record setting sale. 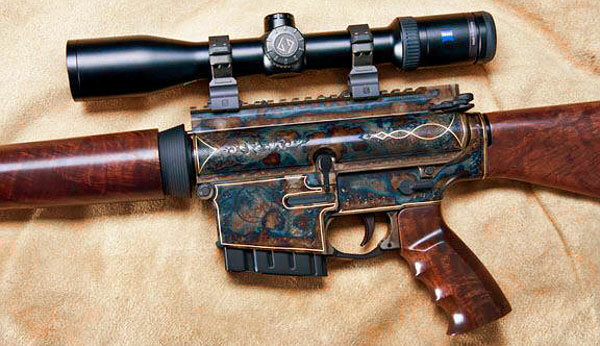 Look a little closer at the trigger, it has a GA on it….Geissele Automatics. Were can the steel upper and lower be bought? Wow…never though he would go tactitard. 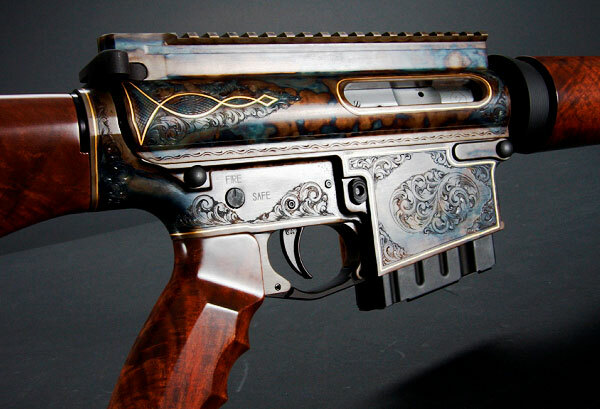 I would really appreciate it if the gun press would drop the term “pimped” anything. It is repugnant to me for them to associate the workmanship and skills used in producing that rifle in association with [pimp culture]. What… are you talking about? Since I’ve always viewed AR platforms as a more utilitarian firearm, this is kinda similar to dressing out a 3/4 ton farm truck. 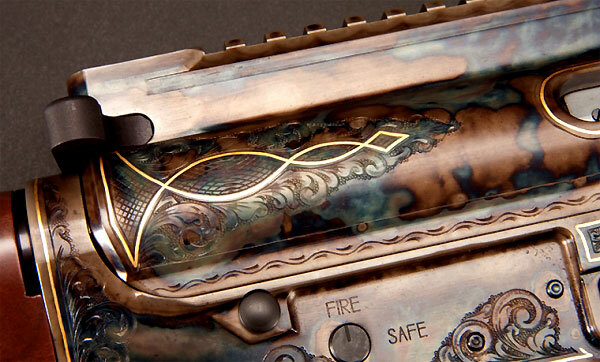 One thing it does have going for it, though, is miles of metal to show off that beautiful case hardening. Definitely gotta commend him on that one.